How do I view timesheets in my local time zone and format? 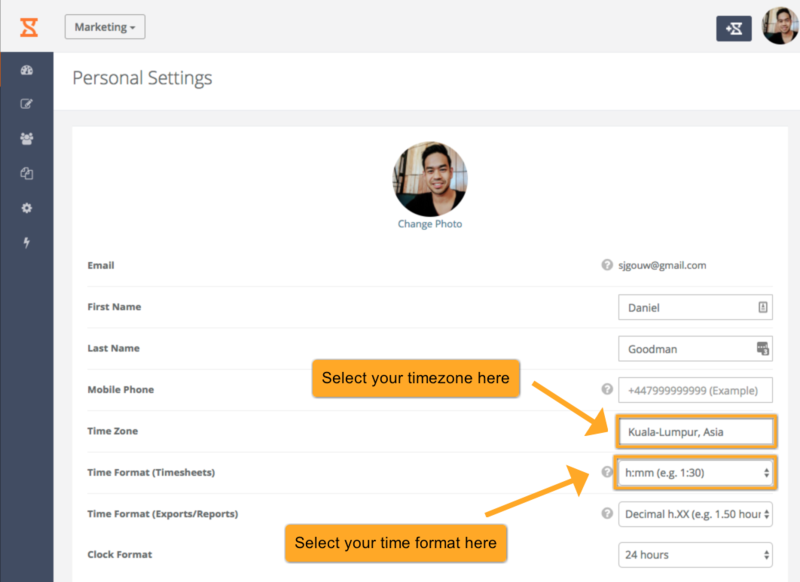 Different employees can set different timezones, great for remote teams! All team members timesheets will appear (by default) in the time zone that has been entered in the team settings. See Changing Settings for my Company (Team) for more info on this. The default time format is always h:mm (e.g. 1:30 is 1 hour and 30 minutes). However, every member of the team can set their own time zone and format. A useful feature for remote workers! Enter your local timezone. Note; If your city is not listed then find out the GMT time zone for your city. For example Seattle is GMT-8. So start typing GMT and pick yours.